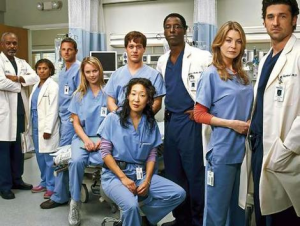 Grey’s Anatomy has entertained audiences with 15 seasons and has presented 325 episodes and counting. On Sept. 25, the series released its 15th season. After numerous cliffhangers at the end of season 14, the new season has addressed many of these with new, sudden plot twists. So far, season 15 of Grey’s is a worthy watch. Nicknamed the “season of love,” the new season has pulled at viewer’s heartstrings, reminded audiences of the past, and presented a new chapter in not only protagonist Meredith Grey’s life but many others as well. The new season has addressed many cliffhangers left from the previous season, which included Teddy’s pregnancy. The pregnancy revealed a new plot that viewers were hoping for, which is a potential romance between Teddy and her longtime crush, Owen. This event has been a key structure for the new season, and so far has made season 15 much more exciting. Season 15 has also shown a more vulnerable side of Teddy because she is struggling to tell Owen about that fact that she is pregnant with his baby because of his rekindling romance with his ex-wife. This has left audiences on the edge of their seats for the entire first half of the season, and hopeful for the second half. Meanwhile, Meredith has had a new lease on life and is committed to move on and find love again after the death of her husband Derek Shepherd. Almost every episode shows Meredith going on dates with random men, most of which lead to nothing at all. This makes this plot forced and not a great addition to the show because she should not feel forced to find new love; it should happen naturally. In the latest episode, several doctors revealed their feelings for Meredith, which left her with a choice to make. This is more appealing to audiences because it has been what many have been waiting for, which makes all of her random dates with random guys useless and unnecessary to the storyline. This season definitely lives up to its name as the “season of love,” revealing hidden relationships, many, many dates, as well as kindling romances. As for the performance of the actors, many different aspects are revealed. The newer additions to the show have been revealed to have very different acting styles, many of which feel very forced, but throughout the season has improved and fit into the show. On the other hand, the original actors from the beginning of the series have done an amazing job keeping their character’s original charm, while doing great adapting to the development of the show as well as complimenting how the show has evolved over the past 15 seasons. This new season has amazed audiences with shocking medical advancements, new doctors, sudden plot twists, as well as memories of the past that no one can forget. Season 15 is a great addition to the show because it develops new scenarios and relationships but also it builds on and reflects the past for all of the doctors at Grey-Sloan.